Paris-based superwide graphics provider Metropole has moved to strengthen its service offering by investing in two EFI VUTEk wide format printers. The VUTEk FabriVU 520 soft signage machine has the ability to produce print in qualities of up to 2,400dpi and offers four-level greyscale printing with 4-18 picolitre drop sizes. The device can operate at speeds of up to 157sq m/hr in point-of-purchase quality mode and has a maximum operating speed of 446sq m/hr. 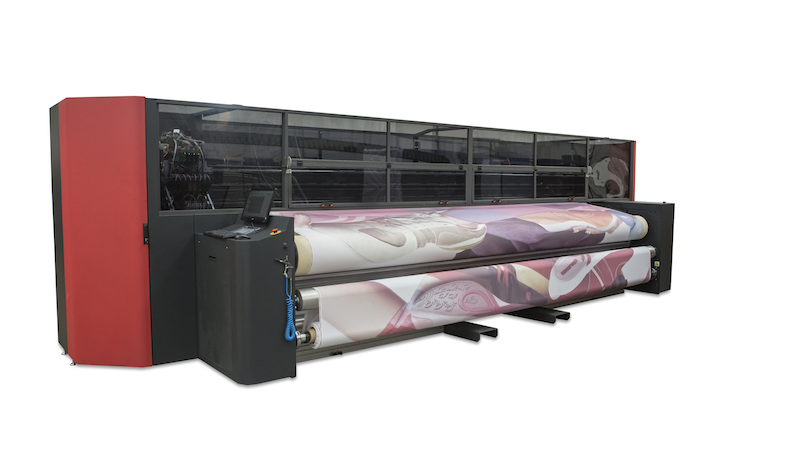 Metropole’s new VUTEk LX3 Pro hybrid roll/flatbed LED inkjet printer measures in at 3.2m wide and is able to print on both rigid and flexible substrates up to 5.08cm thick. The machine has multilayer printing capabilities in eight colours plus white, with true 600 dpi or 1,000 dpi resolutions, and also features ‘cool-cure’ LED technology, which EFI says helps users to offer their own customers a more environmentally friendly service. Patrice Boquého, associate director at Metropole, said the purchase of the two EFI machines forms part of the company’s ongoing investment strategy, which has in turn enabled the firm to respond to the ever-changing demands of its customers. “Thanks to continued investment, we have been able to offer our clients a production operation capable of producing any creation,” Boquého said. “Our purchasing policy aims for exceptional equipment. That is why over the past year, we have acquired new superwide technologies, a unique offering in our territory. Metropole boasts revenues of €19m ($22.2/£17.3m) and has a total workforce of 90 staff. The company operates out of workshops and offices spanning 3,000sq m and offers a host of services to its customer base, ranging from the original printing phase, through to desktop publishing and design, management of administrative requests, finishing work and on-site installation of printed jobs. Speaking about the need to invest in order to remain competitive in a crowded market, Boquého said: “In our profession, everything is based on quality and responsiveness. The opportunities for digital print are seemingly endless and FESPA Mexico 2017 will be paying tribute to this throughout the event next month. Coupled with a host of major manufacturers, and a plethora of new kit, FESPA Mexico is the place to be if you want to get ahead in wide format print. Taking place from May 21-23 at the Citibanamex Centre, in Mexico City, the exhibition will play host to many major brands from across the global industry.